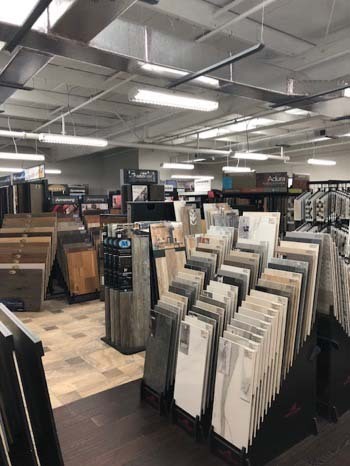 From carpet and vinyl to natural stone and hardwood, our experienced and knowledgeable staff will help you identify the perfect product for any room in your home. 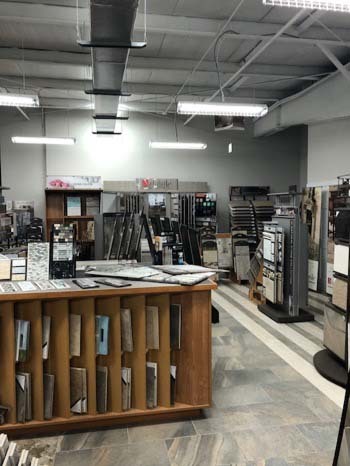 Our commitment to product knowledge, competitive prices and superior service is evident from the moment you step into our expanding showroom. That commitment extends all the way through to installation with skilled, knowledgeable and experienced craftsman, ensuring that the right products are installed in the right way. 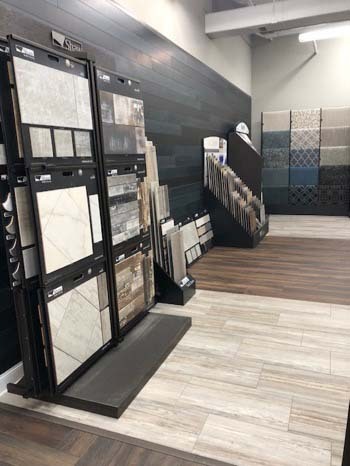 Nestled upstairs at the Touch of Color Headquarters is the most amazing flooring showroom in Harrisburg, and a gifted designer and amazing team that stand ready to make your flooring dreams a reality. The TOC Marketing team sat down with the Director of the Design Studio Kim Reichard to get a better idea of what goes on up there and showcase some of the amazing work her and her team put out. How long has your career been in design? I started in the flooring industry in 2002 after working in the fashion industry. After graduating Penn State with a Marketing degree, I started a position as a bridal consultant. I’ve worked in the fashion industry as a buyer for cosmetics. I’ve worked for clothing manufacturer’s as a merchandiser and have also worked for Comcast as a creative designer for television commercials. When did you discover an interest/passion for it? I’ve always been interested in different design elements, being creative whether it’s with clothes, makeup, cooking. I get a great sense of satisfaction with creating a project and seeing the end results. How long have you been with Touch of Color? I’ve been with TOC for 9 years. How do you approach a new project with a client? The number one key to starting a project with a new client is listening to their vision. You need to approach every appointment with an open mind and no preconceived notions. I always ask a lot of open ended questions to get the customer talking and feeling comfortable with me. Building trust is key. What is the most helpful thing a client can do to make the process go smoothly? I like clients to have an open mind and be willing to explore different possibilities. How involved are you in the process from selection to completion? I am involved in the design group process from start to finish. I am the “face” of the division. Building trust with clients means you must be there for them the entire journey. Do you see any major shifts in design right now, beyond yearly trends? Are there things homeowners need to become more aware of? The biggest shift with builders right now is that they are building smaller houses with open floor plans but implementing more upgrades. Homeowner’s need to approach the selection process as a way to create a unified flow throughout their home. They shouldn’t be thinking room to room, they should be visualizing their entire home. What is the most enjoyable room in the house to design? 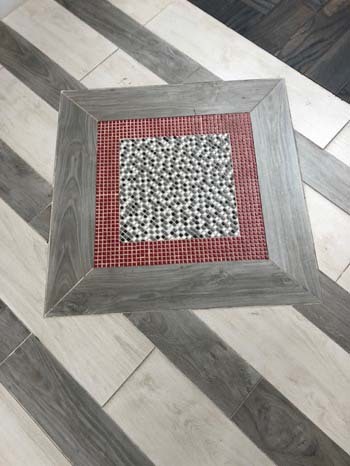 With the open floor plan that most homes are using, I feel the most fun and challenging part of my job is the main living floor---tying together the foyer/kitchen/living space and creating a unique look with flooring and accent walls the matches the style of the homeowner. What can TOC offer that no one else can match? 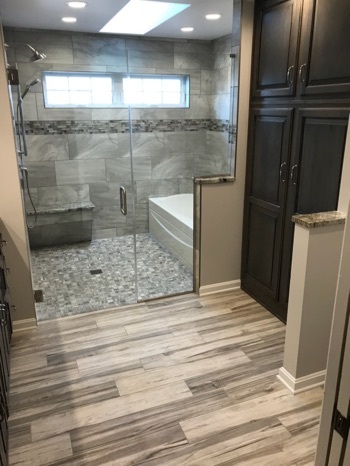 TOC Design Group offers a unique experience in the flooring industry. We are a private showroom created exclusively for trade partners to use as their flooring selection center. Clients receive one on one expert consultation experiences. My team provides a very hands on approach to every job. My team is in constant communication about every project.